Accept no limitations. 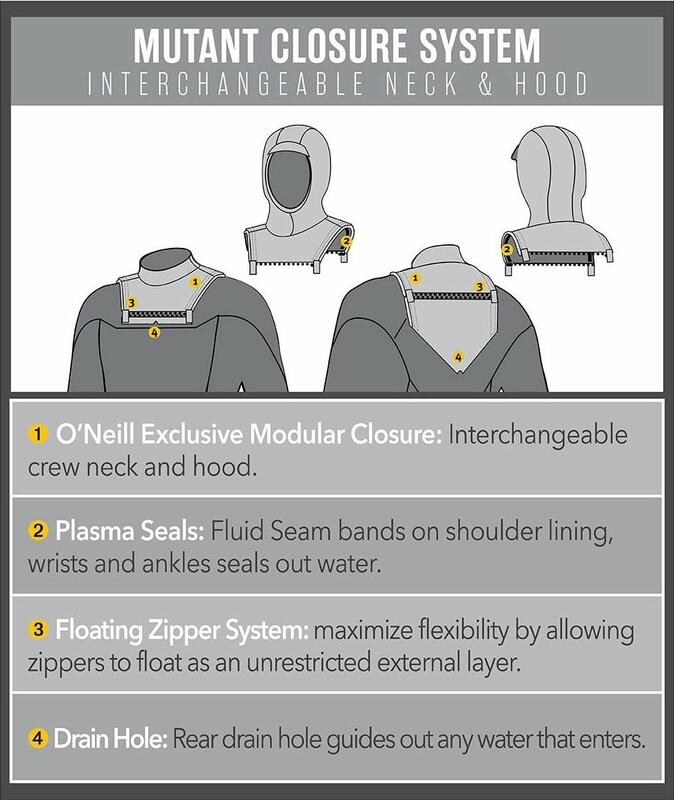 O'Neill's unique Modular Closure system with new dual cinch on the neck and hood closures seals out of water. The Mutant is constructed of UltraFlex DS and TechnoButter Firewall in the front and back, making it warmer and more flexible than ever before. Two suits in one, now go get some. Comes with both a regular neck closure and can be interchanged with an included hood depending upon the conditions.